If you are in the market for a wedding band, take some time to review the tungsten diamond wedding band 8mm. 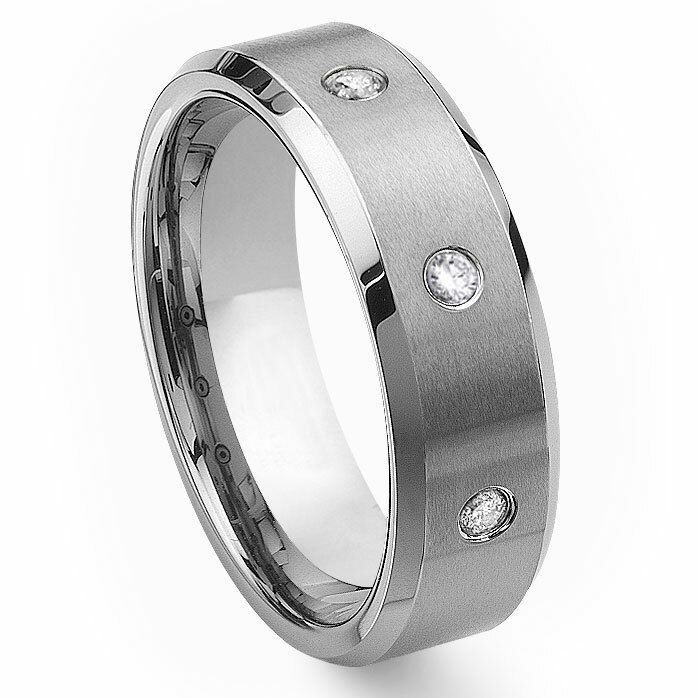 Tungsten a metal that is harder the gold and scratch resistant, making it a great choice if you need a band that will stand up to everyday wear. From gardening to garage work, this ring will maintain its luster and brilliance. It is set with three demure diamonds, adding a touch of class to the matte finish of the ring. There is a lifetime warranty on the ring and the diamonds, demonstrating the our confidence in putting forth a high quality piece of jewelry. 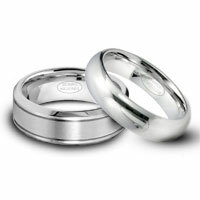 The ring comes in gunmetal gray and weighs 15 grams, giving it a comfortable feel its weight. Click here for the black diamond version of this ring. This is a beautiful ring! I've ordered from Titanium a few times and have been more than satisfied with the products! Shipping is amazing and overall I am extremely happy! Don't change a thing TK! 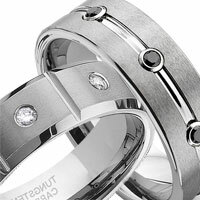 I had been searching for the perfect wedding band for some time and came upon this site. I tend to beat my rings up so I wanted something like tungsten that would withstand my everyday wear and tear. While I have not worn it other than to try it on yet I am so happy with my purchase. 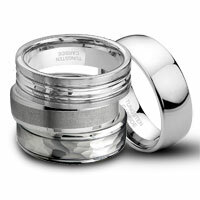 The price is amazing, the quality is extremely high and the ring is great! It fits perfectly, it is quite heavy which I like and is so much more than the picture makes it out to be. I will certainly be making more purchases from this site! I tried a Tungsten ring at 13.5 in a store so I ordered the same size and it is 1/2 size too large, definatly take off 1/2 size. Waiting on replacement. This is the second ring that I have bought through Titanium Kay within the last two years and this one as well as the first have been lovely. 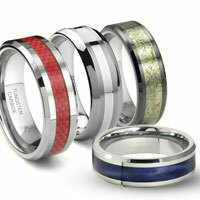 The first ring I purchased was a tungten ring with a carbon fiber inlay. When this latest one showed up in the mail though, I knew it was perfect! My boyfriend likes this one more than he likes the first one, which he picked out! It fits great too! Thanks for the great product and service. Such great service. Received ring in 1 day and I'm on the opposite coast! Such a great design and price was amazing. Can't go wrong!